Here’s everything you need to know about what, where, and when everything is happening. What time are the Graduation Ceremonies each day? Who is graduating on Monday, July 8? Students from the Faculty of Arts and Creative Industries will graduate at both 9.30am and 3pm. Who is graduating on Tuesday, July 9? Students from the Faculty of Health Sciences and Well-Being will graduate both at 9.30am and 3pm. Who is graduating on Wednesday, July 10? Students from the Faculty of Business, Law and Tourism will graduate at 9.30am as well as 3pm, with London Campus students taking part in the afternoon session. Who is graduating on Thursday, July 11? 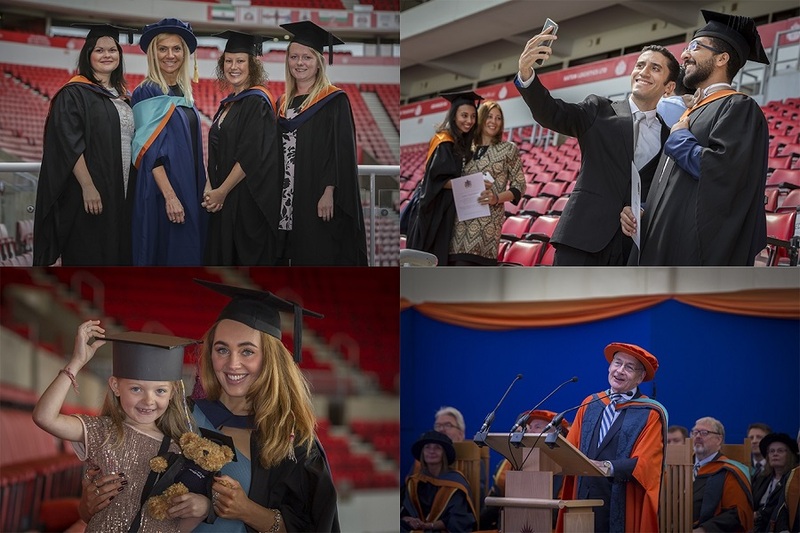 Students from the Faculty of Education and Society will graduate at both 9.30am and 3pm. Who is graduating on Friday, July 12? During the 9.30am ceremony, students from the Faculty of Technology will graduate, while at 3.30pm, more students from the Faculty of Education and Society will graduate. When will I get my graduation invitation? Well, you can expect your invitation sometime in April. Do I have to pay for tickets and how many guests can I have? No you don't. Graduation is free for those taking part and you are entitled to two free guests. Can I get extra tickets if I need them? Yes, although any additional tickets allocated over and above the two free tickets will be charged at £29.00 per ticket. How do I hire my gown and how much will it cost? Ede & Ravenscroft are the official gown hire company for the University's graduation ceremonies. Graduates will be emailed the link to the Ede and Ravenscroft website once they have submitted the Online Booking Form. Where is the closest Metro stop to the Stadium of Light? St Peter’s Metro Station is just a five minute walk from the Stadium of Light. Although you can also use the Stadium of Light Station which is also close. Where can my guests park their cars? The Stadium of Light has plenty of free car parking spaces available. Will the graduations ceremonies be screened live? And where can I watch them? All ceremonies are presided over by the University Chancellor and Vice-Chancellor. They both follow the procession party out at the start of each ceremony and congratulate every student on the stage. Students will be called up from each faculty to be presented with their award. When it is your turn, you will be called up from your seat and taken to the foot of the stage. 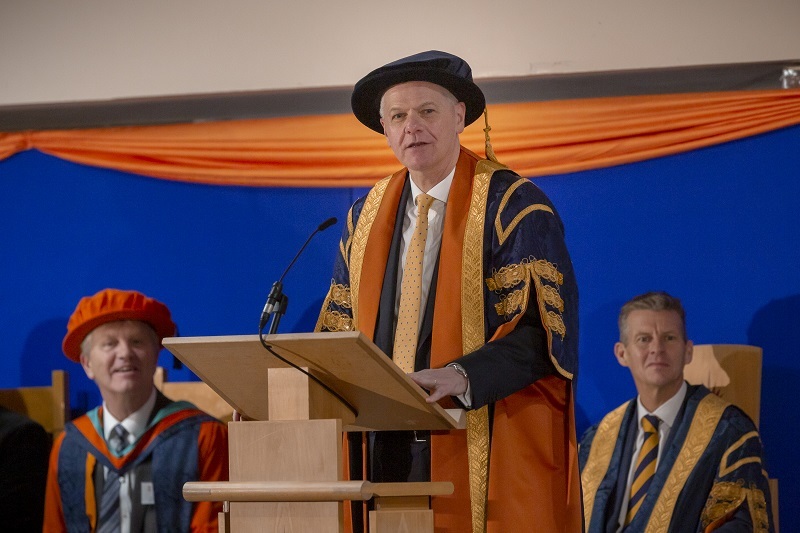 Once your name is read out, you will head onto the stage, shake hands with the Chancellor and Vice-Chancellor, before being presented with your award. 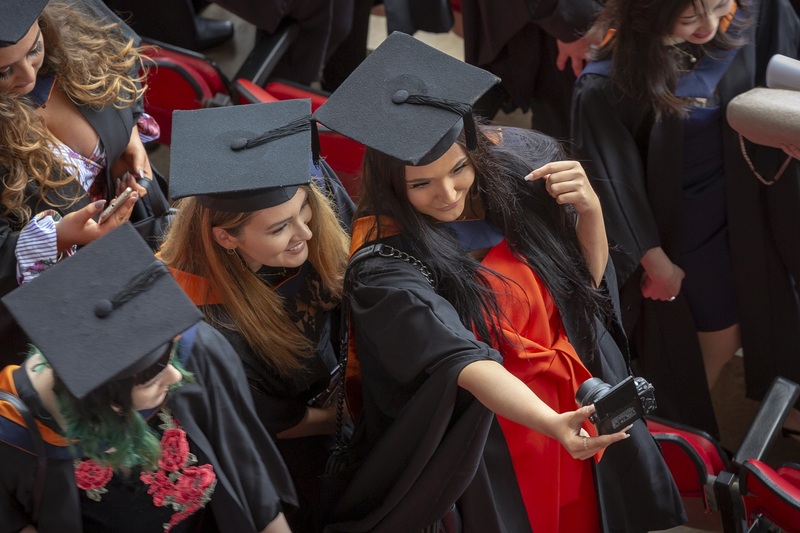 After all students have received their awards, the Chancellor and Vice-Chancellor will address the ceremony with their closing remarks before leaving the stage with the procession to end the ceremony. Will I receive my degree parchment at the ceremony? No, however you will receive a ceremony attendance certificate. Your degree parchment will be posted out to you following the ceremonies if you have not already received it. Alternatively, you can arrange to collect the certificate in person. Where can my family and friends stay overnight? There is a range of different accommodation in Sunderland. I want to take my family/friends for a meal after graduation, where should I go?